CharlestonArtShop.com needs your HELP. We need a new leader to take control of operations or a new owner to take over the business. The ideal candidate will be someone or some organization with experience in art sales, marketing, and business development. While some amount of technical prowess is necessary to keep the website operations running, a dedicated web developer is not necessary (although recommended). Parties of interest may contact us with inquiries. 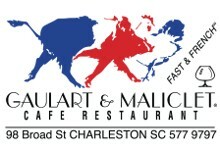 For more info, please see CharlestonArtShop.com is Closed Indefinitely. We are a membership-generated e-commerce website made up of 64 active members with over 700 artwork listings. We have 2 full years of operations under our belt with proven monthly sales. For more info, please see about us. The ideal buyer will be someone or some organization with experience in sales, marketing, and business development. Contacts and experience in the art world will be most helpful, especially if you are local to South Carolina. Basic website development skills are encouraged, but not necessary. It is highly encouraged to have a good developer on-call.